Despite some testing, MR’s GT3CC drivers have not had enough “track-time” to satisfy them and were very keen to get back into some racing. We were also looking forward to contesting the first Jim Richards Enduro race for the season. Once again our drivers had the benefit of our resident Works Driver Warren Luff to show them the ropes. Tim had a great run in the 30 lap enduro on Saturday evening but unfortunately his run was mired by a touch of bad luck. He had made his way from 12th on the grid up to 7th outright but after a minor brake lock-up into turn 10 on the final lap, he was bundled back to 10th which was a pretty disappointing outcome after such a strong performance. Starting from 10th in Race 2, he had a ‘moment’ on the opening lap, unfortunately this saw his position in the field drop as low as 20th until he made his way back up though the field to finish 14th. As usual, he saved his best till last with an inspired drive in the final race passing nine of his fellow competitors to move from 14th up to 5th outright. After the first two rounds of the Championship Tim currently sits 4th in the A Class Elite Category. 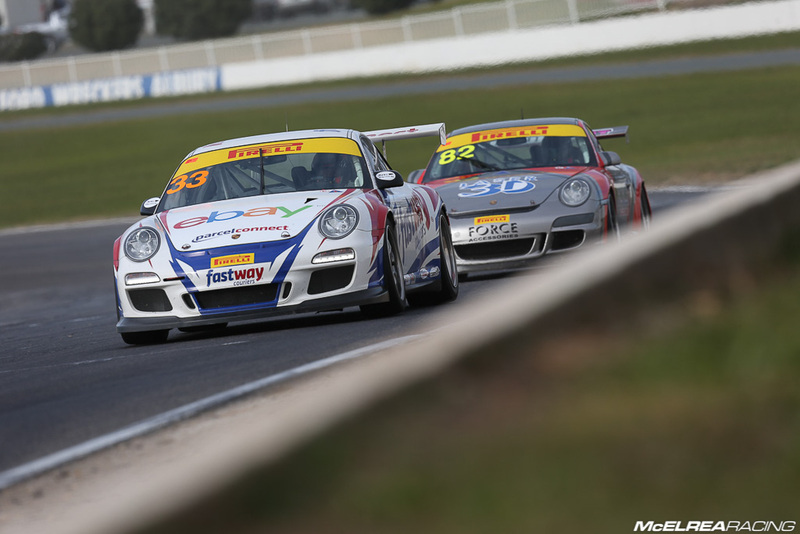 This was Jaxon’s second Race weekend in the Porsche GT3 Cup Challenge. He did a great job to qualify 1st in B Class and an outstanding 10th outright..!! Jaxon was running a very strong opening race inside the top 10 until his car broke a driveshaft on lap 24 of the 30-lapper. A determined and forceful start from the rear of the 20 car grid pushed him into 2nd in B Class and 13th outright. Jaxon did a great job to avoid the first corner dramas in Race 3 and after a motivated drive netted a well-deserved 1st in class and an amazing 7th outright. Race 3 Start from Yesterday, Got pretty busy..! After qualifying 7th outright, James did an outstanding job to progress up to 4th in Race 1. 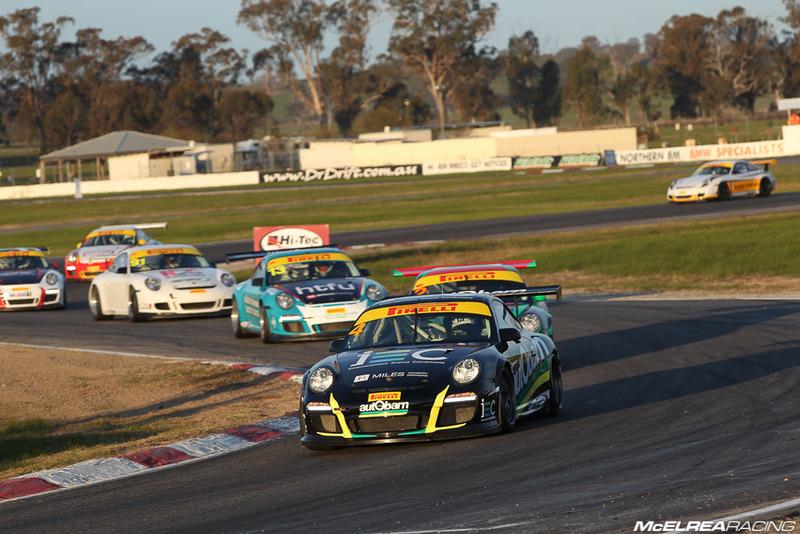 This is really impressive considering that like Jaxon Evans in B Class, this was only his 4th GT3 Cup Challenge race. In Race 2 he gained some valuable experience but unfortunately was only able to manage 7th after doing the 4th fastest lap of the race. In the third race he was simply a victim of being in the wrong place at the wrong time and due to the side of the grid he started on was taken-out with a heavy hit to the right rear of his car after McCorkindale was turned around in the middle of turn 1. James now sits in 5th place in the A Class Pro Championship and is gaining momentum quickly. 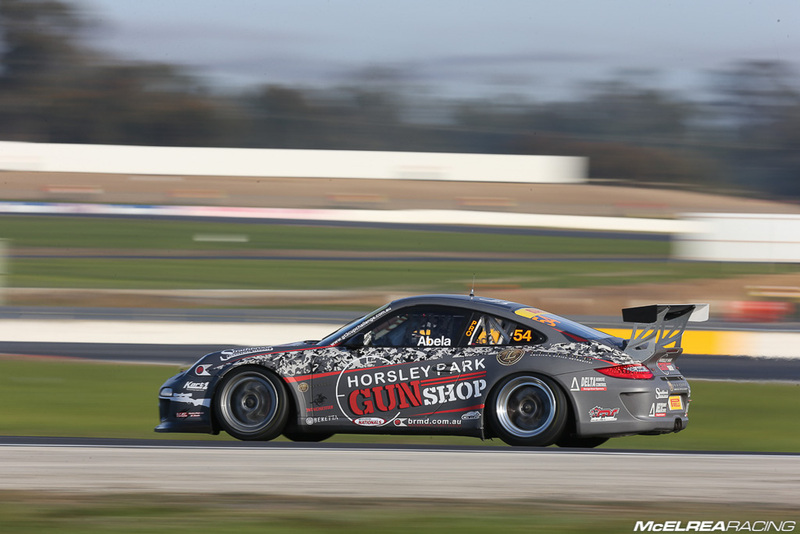 Jim had a blast at Winton and really enjoyed learning another new track. After his first 2 Rounds he is sitting in 5th place in the B Class Championship. Jim qualified over a second quicker than the next competitor and did a great job learning the new disciplines of long-term concentration, patience and consistency in the longer 1 hour race on Saturday. He did another really solid job in Races 2 and 3 on Sunday to finish 19th and a career best P13 in Race 3. We are really impressed with Jim’s methodical approach to learning to drive these cars fast which will pay-off with podium results in the future. 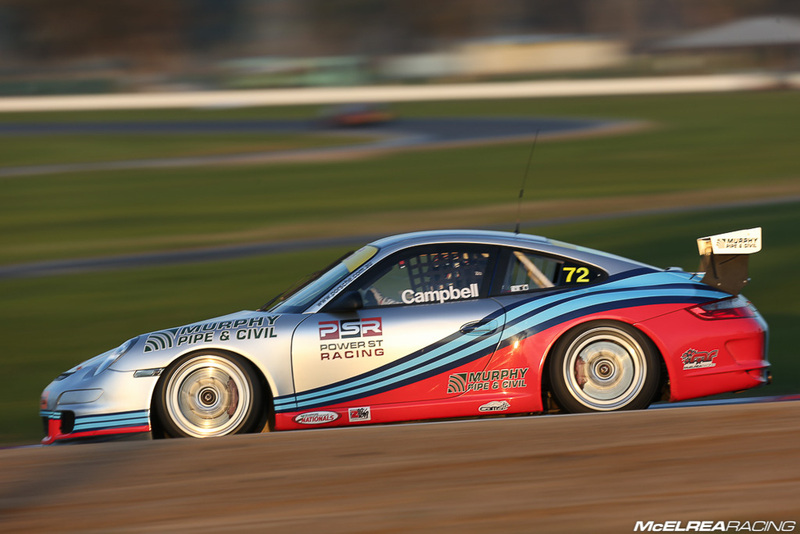 Simon had a good weekend at Winton particularly after a disappointing round 1 at Sandown where he retired due to getting debris in his eye. 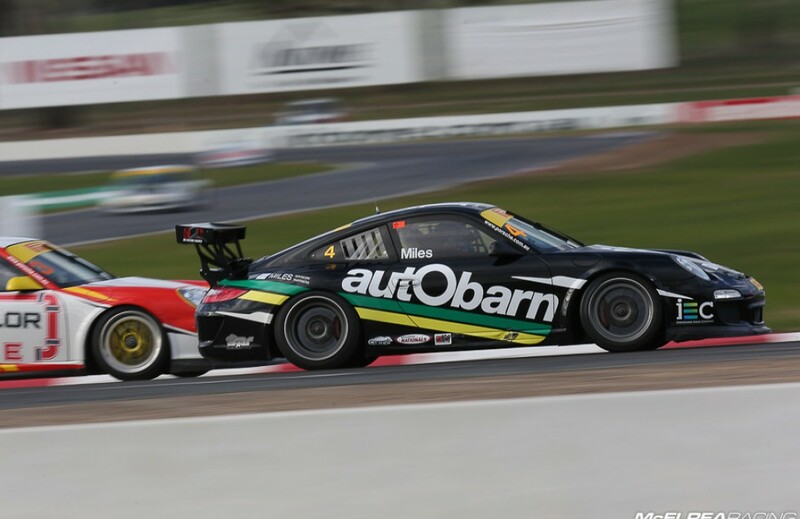 Si finished 14th in the 30-lapper on Saturday, 15th in Race 2 and 11th in Race 3. We were hoping for a slightly better pace but this was Simons first visit to Winton and we are working on building his technique for the long-term so sometimes it’s a matter of sacrificing short-term gains and taking “one-step-back to take two-steps-forward”. 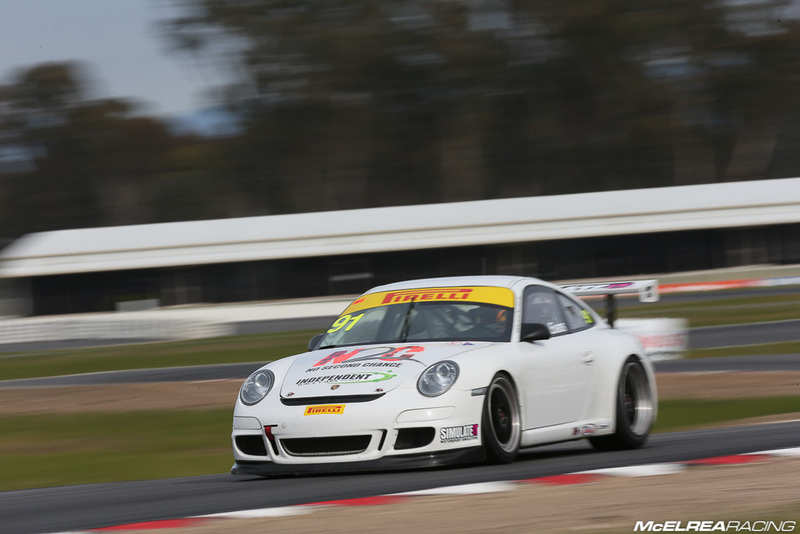 Si will now switch his focus to the Australian GT Championship to contest the next round at Townsville where he will be joined his by MR team-mate Matt Campbell in the Fastway Porsche. 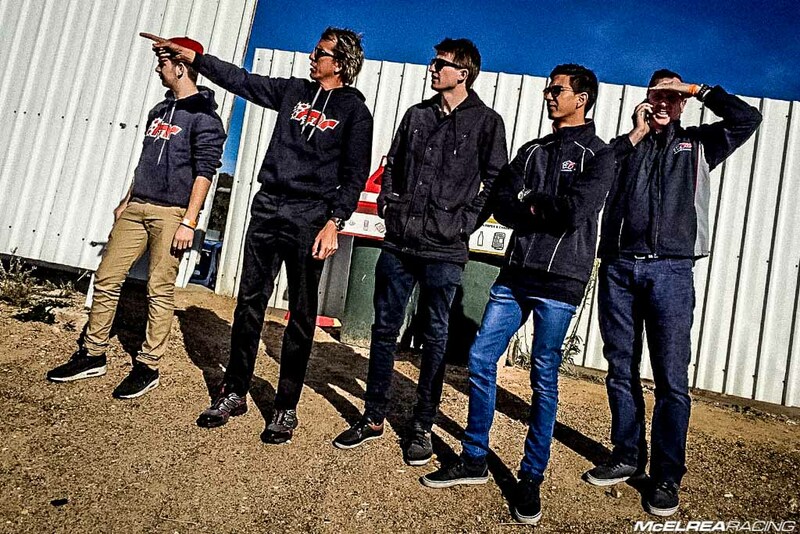 We didn’t quite get the results we were hoping for at Winton, particularly for our teenage young-guns James Abela and Jaxon Evans. Both of these guys would have likely been on the podium if it wasn’t for a DNF each through no fault of their own… but we all know that Motorsport rarely goes as planned. As we know, dealing with adversity will benefit them long-term as longevity in this sport requires grit and commitment that only comes when you earn it! Fortunately the MR team and our drivers will not have to wait as long to get back on track as we will be contesting the next round in three weeks at Sydney Motorsport Park (SMP) and while Simon won’t be there, we will be joined by our regular-irregular Grant Sparks who will do the balance of 2015 GT3 Cup Challenge Championship. We are pumped for the rest of the season and can't wait to put on a show for our team partners and supporters... Bring it on!